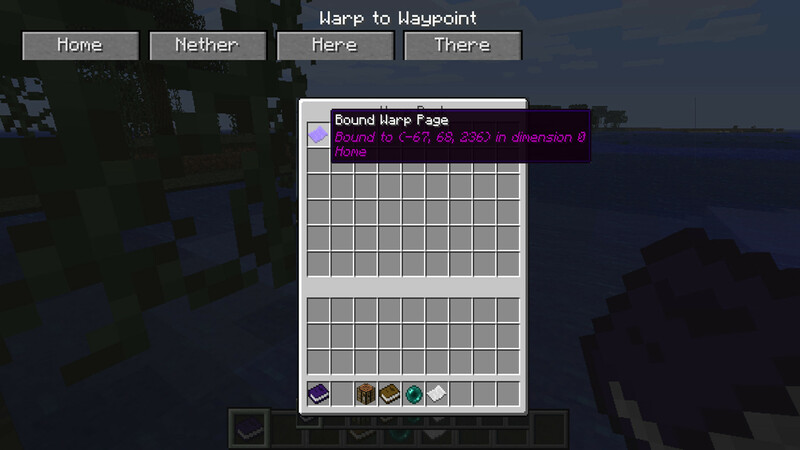 Warp Book is a simple way to keep track of your favorite locations in Minecraft. All you need are Warp Pages and the Warp Book to store them. You can store up to 54 pages in a Warp Book by shift+right-clicking with it in your hand.